John D. Ciorciari is an associate professor of public policy and director of the Ford School's International Policy Center. His research focuses on international law and politics in the Global South. He is the author of The Limits of Alignment: Southeast Asia and the Great Powers since 1975 (Georgetown University Press 2010) and co-author of Hybrid Justice: The Extraordinary Chambers in the Courts of Cambodia (University of Michigan Press 2014). He is an Andrew Carnegie Fellow and a senior legal advisor to the Documentation Center of Cambodia, which promotes historical memory and justice. 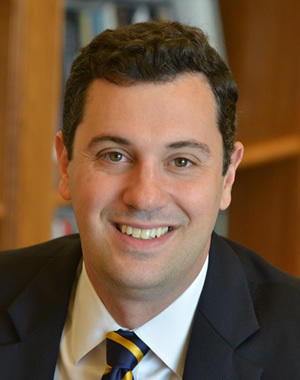 Ciorciari served as a postdoctoral fellow at Stanford (2007-09), a policy official in the U.S. Treasury Department's Office of International Affairs (2004-07), and an associate at the international law firm of Davis Polk & Wardwell. He holds a bachelor's and juris doctorate from Harvard and a master's and doctorate from Oxford.